If you’ve been on the fence about Ninjin: Clash of Carrots, now you can test it out before taking the plunge. Pocket Trap and Modus Games have released a free demo of the game on the Nintendo Switch eShop. You can download it right now and give the action-runner game a quick spin. Additionally, the game will be on sale for 25% off – starting today! If you’re still unconvinced, check out the game’s accolades trailer below. 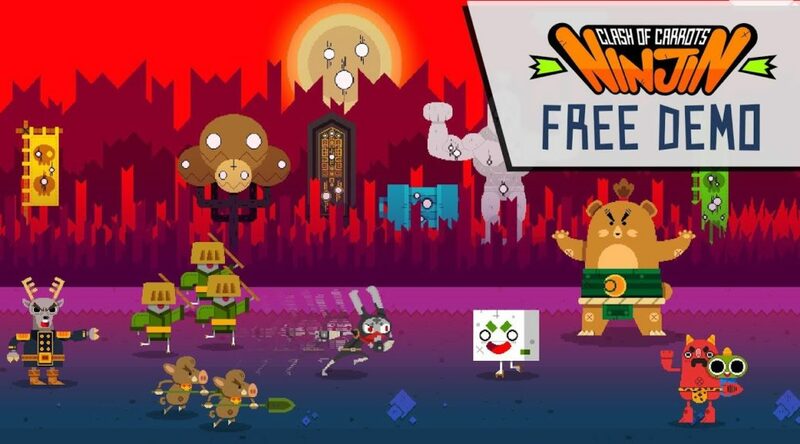 WALNUT CREEK, Calif. (October 10, 2018) — Today, Pocket Trap and Modus Games launch a free demo of Ninjin: Clash of Carrots for anyone eager to check the game out on Nintendo Switch, PlayStation®4, Xbox One or Steam. A new accolades trailer highlights the rave reviews the high-speed beat-’em-up has received since launch. Additionally, beginning today, Ninjin: Clash of Carrots is 25% off across all platforms.